Daily Mirror - Parliamentary Oversight and Self-interested politicians Can they do it? Parliamentary Oversight and Self-interested politicians Can they do it? In Sri Lanka, almost all the elected representatives invest millions and billions to get elected to Parliament at an election. It is the common belief that “politics” is the most suitable career if you need to be superfluously rich within a short period in the country once called - “Wonder of Asia”. In reality, having invested large sums of money and effort for elections, after they get elected, naturally - they have no option other than resorting to various means - illegal, corrupt, or fraudulent, to reap profit to remain in Parliament, term after term. We should, therefore, remember that politicians are self-interested individuals and are only interested in looking after their personal interests rather than those of the public. Does this mean the elected representatives cannot fulfill the role – PARLIAMENTARY OVERSIGHT? Lee Kuan Yew had said: “My problem was to find big men for the big jobs that were vacant. There was no shortage of big chairs. The problem was how to find chaps with enough grit and ability to fill these big chairs”. The Singaporean rulers have been able to lead the country to the status – developed nation and one of the least corrupt countries -in the world thanks to the leadership given by Lee and his capable team. Can we expect Sri Lankan leaders to perform like him and his team? I must mention a key aspect of this success story is extraordinary oversight activity by the Parliament and the principle of meritocracy in recruitment and retention of capable and dedicated personnel, and paying them purely for the performance alone (not seniority or political influence). Human capital (capable, committed and honest) is the engine to drive economic growth and development. The other important factor is no democratic system of Government could survive without transparency and accountability. This is a responsibility which lies broadly on the large shoulders of parliamentarians elected by the people. The present Government must remember this was exactly where the MR regime failed. Having faulted MR paid the supreme price for misrule despite the fact that they won the long, devastating and the ‘so called unwinnable war’. The new Government led by Maithri-Ranil too must be saddled with the same problem of finding suitable human capital for the top jobs. Nevertheless, the PM has correctly identified that primarily the core function of Parliament should first be addressed – OVERSIGHT – to ensure speedy, efficient and effective implementation of policy, proposals and actions on behalf of the people. PM has, therefore, stressed the importance of the role of Parliamentarians as a priority matter. “My problem was to find big men for the big jobs that were vacant. There was no shortage of big chairs. The problem was how to find chaps with enough grit and ability to fill these big chairs” - Lee Kwan Yew"
The PM sent a message very loudly and issued a warning at a seminar held in Parliament that as the body that represents the people, Parliamentarians must essentially be committed to ensure that the administration of the public policy reflect and meets the people’s needs. PM has also stressed that Parliamentarians should ensure that agreed policy is properly implemented and delivered to target citizens while looking after State revenue. Parliamentary oversight, therefore, to be more precise was “the review, monitoring and supervision of Government and public institutions, including the implementation of policy and legislation”. To identify and stop abuse, arbitrary behaviour, or illegal and unconstitutional conduct on the part of the Government and public sector institutions - the protection of rights and liberties of citizens;. · To hold the elected Government to account in respect of how tax payers’ money is used - improve the efficiency, economy and effectiveness and stop waste misuse, abuse, corruption, fraud etc., of Government operations; To ensure that policies, plans and decisions announced by the Government and authorized by Parliament are actually delivered, implemented and achieved - monitoring the achievement of goals set by legislation, projects, proposals and programs; and To improve the transparency, openness, and compliance of laws, rules, regulations applicable to procedures in every single Government operation and enhance public trust in the Government, which is itself a condition of effective policy delivery Obviously, State power had been largely concentrated in the hands of a few individuals rather than in democratic institutions in the last few years. Parliament, therefore, had become too weak to function effectively and was simply a rubber stamp. The Parliamentarians did not have the sense of duty and beyond that the passion to the Nation. They failed to carry out meaningful and effective oversight functions. They did not identify and meet the needs of the citizens. Oversight is all about keeping an eye on the activities of the executive on behalf of its citizens and holding the executive to account. Furthermore, another important element of oversight concerns the budget; checking that spending decisions are in line with the national priorities. A majority of the Sri Lankans due to these deficiencies were determined to change the creeping authoritarianism and wanted – an opening up of a democratic political order. In my view, the majority also did not wish to continue in isolation internationally and drawing flak from the West and numerous human rights groups too. Those who did this change expected the newly elected Government to address these issues pertaining to justice, human rights and also to make an attempt to re-establish universal democratic values and accepted norms in the country. The present rulers must be aware that there were accusations to the former regime that there was corruption, nepotism, misrule, authoritarianism, majoritarian nationalism, and many more. The President defected from the Rajapaksa regime as the Common Candidate backed by the then Leader of the Opposition, and assured to abolish the executive presidency and establish rule of law, good governance, and numerous Independent Commissions etc. 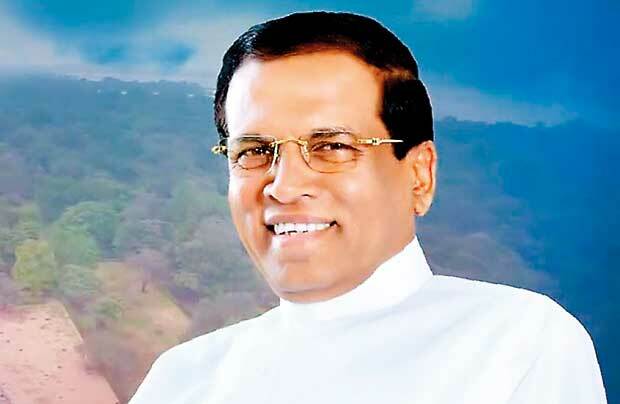 Accordingly, the President won the support of all the liberal forces in the Sinhala Community. The Tamil and the Muslim Communityies too by then and had decided that the former regime should be toppled. 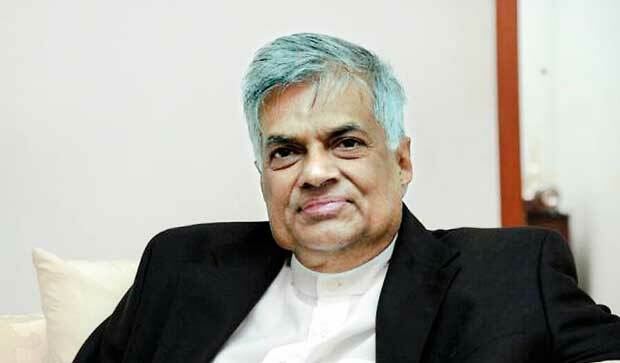 "In 1972, the then PM Sirimavo Bandaranaike changed the country’s name Ceylon to Sri Lanka and made it a Republic. We sell our tea internationally even now as “Ceylon Tea”. In 1978, Executive Presidency was introduced. Air Lanka was also established and began operations. Singaporeans worked with us initially to develop the airline industry. " I must, therefore, add that the voters should not be taken for granted. They did exceptionally well and effected regime change peacefully. The UNP-UPFA coalition should find solutions for issues such as employment and poverty and strategies to take advantages of the opportunities. They should also learn from lessons of the past and be more efficient at managing depleted resources. Economists use total factor productivity (TFP) to measure such efficiency. A country with a high TFP produces more with a given amount of inputs, such as capital and labour, than does a country with low TFP. It may be worthwhile for Sri Lankan rulers to study the Chinese experience of how they cracked open their Soviet-styled economy to private enterprise and foreign investment in the early 1980s. In fact, Indians too stepped up during the same period and could not make sufficient progress due to squabbling politicians and held up reform. In China, factories etc. came up with authoritarian efficiency; in India, major investment projects were stalled. China became the workshop of the world and India missed out on the mass manufacturing that generates jobs and exports. It is a pity Sri Lanka too started ambitious programs then on the same lines. The UNP regime introduced concepts such as Free Trade Zones, export oriented garment factories in villages etc. They also faulted. The country is yet lagging behind due to politicians and the bureaucrats. They could not repair the problems. In 1972, the then PM Sirimavo Bandaranaike changed the country’s name Ceylon to Sri Lanka and made it a Republic. We sell our tea internationally even now as “Ceylon Tea”. In 1978, Executive Presidency was introduced. Air Lanka was also established and began operations. Singaporeans worked with us initially to develop the airline industry. They left us when the new airline decided to buy two second hand aircraft against their advice. They had said it was bound to fail. And it did. MR established Mihin Lanka and the country lost billions. It is the system that needs to be improved. Our investments in education, health, transport etc. were drastically reduced. Every successive Government did ad hoc changes. Since Independence, they failed to improve the fortunes of the country for the people. The voters elected the Maithri-Ranil regime because their predecessors failed to alleviate poverty and overcome corruption and misrule. Construction of highways and beautification of cities did not contribute to achieve sustainable economic growth and development in order to create employment and alleviate poverty. "The voters elected the Maithri-Ranil regime because their predecessors failed to alleviate poverty and overcome corruption and misrule. Construction of highways and beautification of cities did not contribute to achieve sustainable economic growth and development in order to create employment and reduce poverty." Indian Premier Narendra Modi launched a “MAKE IN INDIA” campaign, with a roaring lion as its logo intending to turn the country into a manufacturing powerhouse to rival China. Prime Minister Modi also simultaneously took steps to streamline the cumbersome process in the public sector, which held back numerous projects – small, medium and large. In Sri Lanka too these issues have to be addressed effectively and efficiently, if the newly-elected Government needs to do the desired “CHANGE”. I also wish to quote what I myself wrote previously: “Parliamentarians need to be told that democratic Governments that fail to deliver basic levels of stability and services risk losing their legitimacy. Good governance is the only way in which Governments and public sector institutions could guarantee the rule of law, promote economic growth, and provide some measure of social protection to citizens. Generally, the term “democratic governance” refers to a Government’s ability to deliver on these promises while adhering to democratic values of transparency, representation, pluralism and accountability”. In fact, the Government’s accountability is achieved through the use of a variety of mechanisms – political, legal and administrative – designed to prevent corruption and ensure that politicians and public officials remained answerable and accessible to the people they served. In the absence of such mechanisms, corruption may thrive again. "Right people for the right job" is obvious from the cabinet appointments.Old habits are very hard to die. If Mihin Lanka is losing billions why it is still there? Why not absorb into SriLankan?